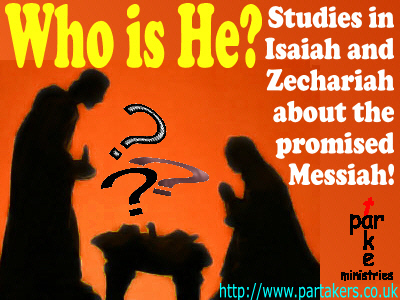 Welcome to Who is He?. We will be discussing who the historical figure Jesus Christ was and is, based on the 2 Old Testament books of Zechariah and Isaiah. They will be, by necessity, just brief introductions to the themes contained within them. Christians believe that Jesus’ birth was the culmination of thousands of years of God telling the world that He was coming. From the time of the Fall when people showed active rebellion and disobedience towards God in Genesis 3, God was planning the time when He would step into history as a saviour or messiah. Christians believe that Jesus Christ is this messiah. Throughout the Old Testament, we see that the birth, life and mission of this messiah is the aim and focus of attention. We see it in the stories of people like Abraham and Moses. We see it in the nation of Israel, which was to be God’s light to all the nations. We see it in the Israelite sacrificial system and law. We see it during the time of the Judges and the Kings. We especially see it through the prophets. The whole Old Testament is joined together, because it all speaks about this messiah baby, Jesus Christ. This baby, who was both 100% human and 100% divine, grew in wisdom and stature. This baby was born in order that He would die on a cross some 33 years later. He did not die for his own sins, but for the sins of the entire world - all past, present and future sins. This baby was born to die so that the entire world may have life and life everlasting, if each individual chooses to accept it. In his writings, Isaiah reveals a great deal regarding God's judgment on sin and salvation from sin. These studies will primarily focus on the later chapters. Isaiah 9:6-7 - For to us a child is born. To us a son is given; and the government will be on his shoulders. His name will be called Wonderful, Counselor, Mighty God, Everlasting Father, Prince of Peace. Of the increase of his government and of peace there shall be no end, on the throne of David, and on his kingdom, to establish it, and to uphold it with justice and with righteousness from that time on, even forever. The zeal of Yahweh of Armies will perform this. From the body of Christ in Turkey, to our holy and faithful brothers and sisters in Christ around the world, grace and peace to you from God our Father and the Lord Jesus Christ. Yet today in our land of 72 million, which is 99.8% Muslim, the size of Christ's flock is only a handful. We are writing to ask, indeed to plead for your prayers. As Turkish Christians we love our country very much. Pray for God's will to be done, and for His Kingdom to come! Pray that the Lord's hand will be with us and a great number of people will believe and turn to the Lord. We, the church in Turkey, have invited the worldwide church to pray for the land and the church of Turkey this day, April 18. We ask you at your church to pray for us, joining the prayers of millions around the globe. April 18 is when back in 2007 three of brothers were murdered brutally for their faith, the first martyrs of the modern Turkish church. We are praying for you, and asking God to fill you with the knowledge of His will through all spiritual wisdom and understanding and we beg you brothers . Pray for us! The God of peace be with you all. Amen. 2 Corinthians 1: 11 "You also must help us by prayer, so that many will give thanks on our behalf for the blessing granted us through the prayers of many.. These are a few points to help direct your prayers for Turkey. Please feel free to pray for any other points you feel led to pray for. 1- Please pray for the blessing and peace of Turkey in general, as the Lord desires us to bless and be a blessing to all. 2- Pray the Lord will display His love and mercy to the people of Turkey by pouring out His Holy Spirit upon our land, revealing His glory through healings, signs and wonders. 3- Pray the Lord breaks down the lies and the endless disinformation about Christ, the Bible and Christians that has blinded and hardened hearts in our land. Pray that God redeems the negative memories of history. 4- Pray that hearts and eyes are opened to see Jesus as the way, the truth and the life. 5- Pray for the Turkish believers who are always on the frontline to walk close to the Lord. Pray for refreshing, emboldening, strengthening, protection and encouragement. 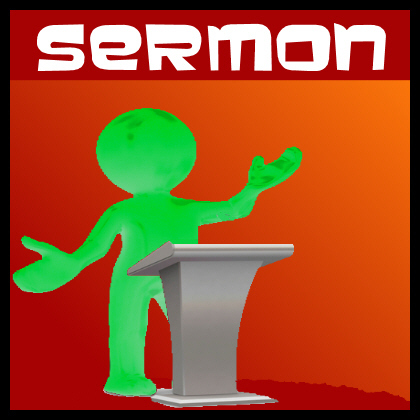 6- Pray for more servant hearted leaders. For good role models. For faithful laborers. 7- Pray for the ongoing unity amongst the churches and for its increase and deepening. Thank you for your prayers. May the Lord's hand be upon you always.